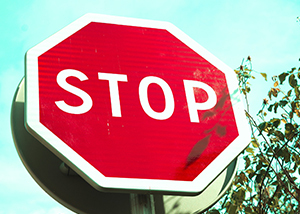 One of the most common cause for car accidents is failure to obey traffic controls such as a stop sign or a red light. Washington law requires vehicles, bikes, and pedestrians to obey all traffic signals. Many cities have started cracking down on drivers who disobey red lights through the use of cameras. Spokane, through its “Photo Red” program has placed red-light cameras at ten intersections. Violators are photographed by the camera and, if a violation is found, can receive a ticket in the mail. Avoid a car accident and/or any fines by obeying all traffic control devices. If you’re ever injured by someone who ran a stop sign or red light, you need you need a personal injury lawyer in Spokane to handle your case. Our experienced and knowledgeable attorneys at Parke Gordon Law Firm will work hard to get you the compensation you deserve. Contact the law office of personal injury attorney Mat Parke today for a free consultation. This is your opportunity to speak with an experienced personal injury attorney about your case for free. Call (509) 482-7274 to get started on receiving a fair settlement from your personal injury case.